On what is a bright, sunny autumn day here, keeping toward the sunshine seems just right for a Nurturing Thursday post. Enjoy a great weekend, everyone! 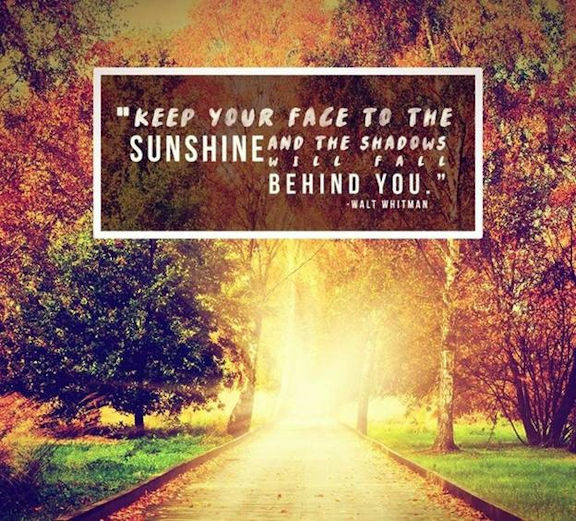 A wonderful quote to take us from summer to fall. 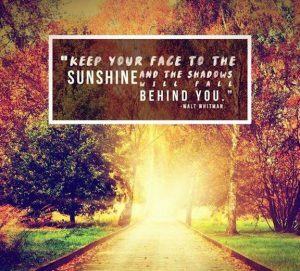 The autumn colors and the quote are a prefect lift for the spirit. Thanks Isadora. very glad you enjoyed it! Wonderful, Meg! For months, we have been in deficit — but it seems like in the past week of almost constant rain — the rivers, lakes and earth tables have been replenished! So we haven’t seen rain in at least 10 days — and a bit colder than usual for us! Glad to get some sunshine here! Thank you for sharing!